What a beautiful word! It refers to a deep peace in your heart; stillness at the core of your being that is unaffected by what is going on around you. 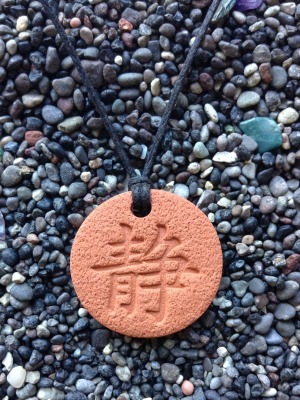 The Serenity Pendant measures 2.8 cm (1 1/8 in) across.